Coordinator of the online Radio Project Ràdio Web MACBA and Co-Director of the Label ALKU, a multidisciplinary platform operating since 1997. Under this umbrella she develops projects, installations and cycles on computer music, generative audio, synthesis and related areas. 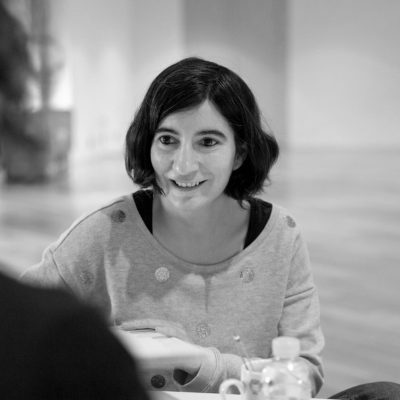 Together with Roc Jiménez de Cisneros she has curated lecture cycles, concerts and installations for MACBA, Sónar, Espai Cultural Caja Madrid and CosmoCaixa, among others. Her work has been presented worldwide.